WOODY GUTHRIE was born on July 14th, 1912 in Okemah, Oklahoma. Over the decades, his songs have run around the world like a fast train on a well-oiled track. They've become the folk song standards of the nation, known and performed in many languages throughout the world. He wrote over 3,000 songs in his lifetime. Pastures of Plenty, Pretty Boy Floyd, Tom Joad, So Long It’s Been Good To Know Yuh, I Ain’t Got No Home, Hard Travelin', Deportee, Oklahoma Hills, This Train Is Bound For Glory, Union Maid, Jesus Christ, Do Re Mi, Roll On Columbia, Vigilante Man, The Great Dust Storm, Dust Bowl Refugee and This Land Is Your Land are among the hundreds by Woody that have become staples in the canon of American music. In 2012, to commemorate what would be Woody Guthrie’s centennial year, Woody Guthrie Publications and the GRAMMY Museum collaborated on a year-long celebration - from California to the New York Island and across the pond - with gala concerts, exhibits, educational conferences, grassroots events, new publications, album releases and a centennial website; Woody100.com. 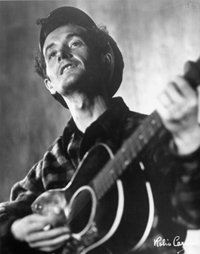 Woody Guthrie has been recognized for his monumental contributions and achievements in American culture. He has been the recipient of prestigious awards both from governmental departments and arts organizations. 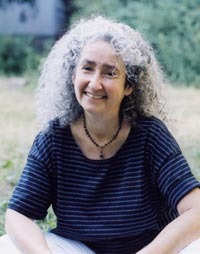 Since 1992, Woody's daughter, Nora Guthrie, has presided over Woody Guthrie Publications. She has pioneered the revitalization of Woody's vast and enduring legacy. Cultivating collaborations between her father's lyrics paired with contemporary musician's compositions, Nora has changed the face of Woody Guthrie. Expanding on the sepia-toned image of the Dustbowl Balladeer, Guthrie is now known as a songwriter who wrote about every topic known, from Joe DiMaggio to UFOs. Click here to read her complete Bio and listing of projects she's worked on for the over 23 years managing her father's legacy.